يوفر فندق فندق رافلز رويال ظروف إقامة راقية وهو خيار رائج للسياح ولرجال الأعمال أيضاً. يقع في منطقة شواطئ, الحياة الليلية, تسوق من المدينة. يمكن من هنا للضيوف الاستمتاع بسهولة الوصول إلى كل ما تقدمه هذه المدينة النابضة بالحياة. يقع هذا الفندق الحديث على مسافة قريبة من المعالم السياحية الشهيرة. كما يقدم فندق رافلز رويال الكثير من الخدمات لإغناء رحلتك في المدينة. يقدم هذا الفندق العديد من الخدمات الكفيلة بإرضاء أكثر الضيوف تطلباً. يمكن للنزلاء الاختيار من ضمن مجموعة من الغرف المصممة بعناية لتعكس جواً من الراحة، والتي يتجاوز عددها 15. كما أن مجموعة الخدمات الواسعة الموجودة في الفندق لضمان راحتك تترك لك الكثير من الخيارات لقضاء وقتك أثناء فترة إقامتك. إن كنت تتطلع إلى إقامة مريحة وهادئة في المدينة، فستجد في فندق رافلز رويال بيتك الثاني. يرجى ملاحظة أنك إذا كنت ستصل بعد مواعيد العمل المعتادة وهي من 09:00 AM - 05:00 PM من الاثنين إلى الجمعة، أو في عطلات نهاية الأسبوع والأعياد الرسمية 09.00 صباحًا - 01:00 PM، فيرجى استخدام زر "الوصول المتأخر" في إنتكوم المبنى لتتمكن من الدخول. يرجى ملاحظة أن هذا العقار عبارة عن مبنى مكون من 3 طوابق به سلالم لكن لا توجد مصاعد ولا يوجد حمّالون للأمتعة. We had a fantastic stay at Raffles Royale. It wasn't our first time there and it won't be our last. 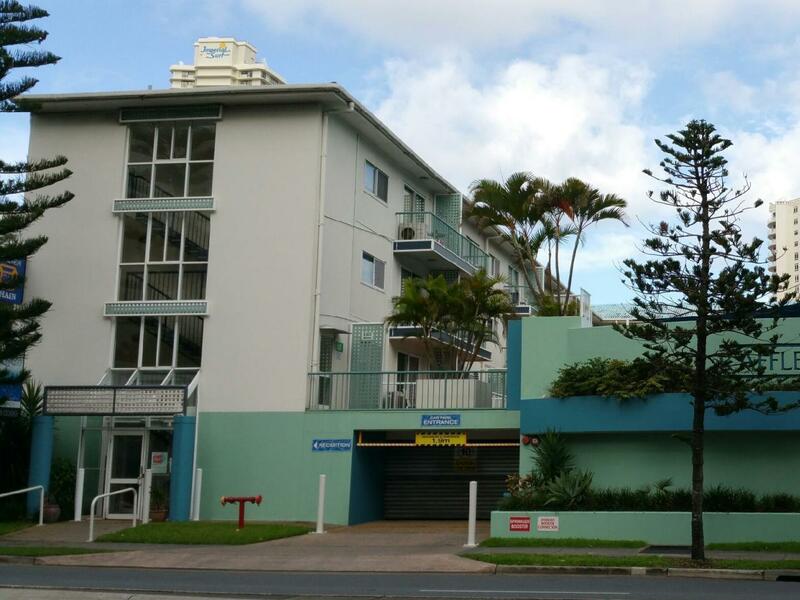 It's situated right in surfers paradise, its about a 2-3 minute walk to Coles. It's not right near the clubs so it stays quiet at night time. The pool is beautiful, blue and heated. We had a one bedroom delux apartment and couldn't be happier. The room had wifi and Foxtel if you just wanted to stay in and chill. Both times we've stayed there and have been very happy with the price we paid. The apartment had more than everything we need: wi-fi, kitchen, cooking and eating tools, hot/cold shower and faucet, microwaveable, washing machine, dryer, hairdryer, towels, shampoo and conditioner, entertainment, warm pool and jacuzzi, and many more. What we would appreciate more is if that there is a warm air conditioner - there is an air conditioner, but maybe we just don't know how to operate to make it produce warm air. Surfer's Paradise beach itself is just 3 or less minute walk and public transportations are 1 minute away. We went in early winter and did not have problems with the slightly cold weather. Would highly consider booking again if we go back to Gold Coast. It is quite old hotel but car park was very secure and the pool was cozy and clean. Even though we arrived much earlier than check-in, the staff lady let us park at the car park. The location was the best. Walking distance to CBD and Coles..overall I liked our stay there. Not a very fancy apartment, but self contained and very good location as the Carvil Mall is a few steps away from the hotel. 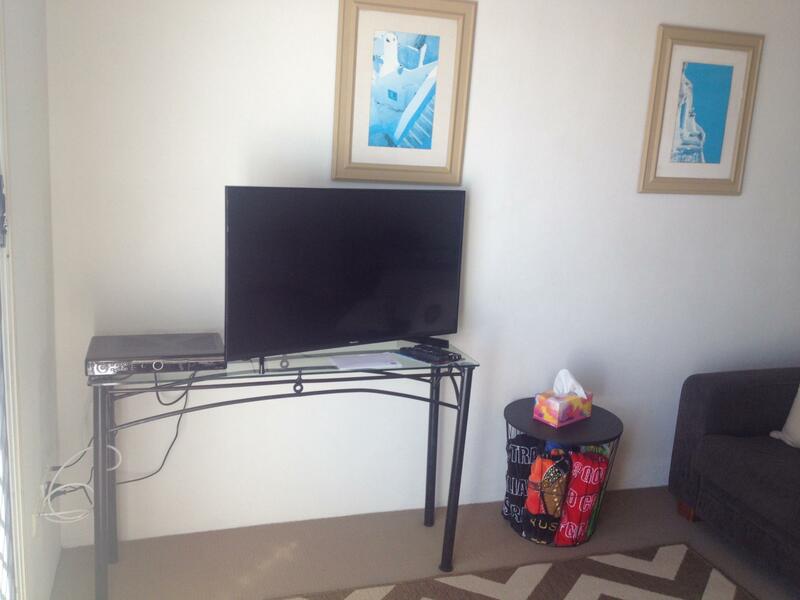 Also walking distance to the beach, although not beach front as the hotel is located at the main Gold Coast Highway. Just 2 buildings away from Avis car rental. Arriving at the hotel, my room key and pass to open the garage door was ready. Check-out was equally fast and efficient. Room standard was good, but it was a pity that internet access was extra and not included in the room rate as it was quite expensive. Apartment was located facing the pool area with the kitchen and front door facing the apartment building next door. For light sleepers, the construction of the Gold Coast Light Rail adjacent to the building might mean noisy nights and equally noisy days during the construction period, which is set to end once the system opens in mid-2014. However, this should only be a concern if you stay on the side facing the construction zone. Request a room facing the north or south if you want to have the quietest rooms. I got a deal for booking the room for 7 nights so it was rather cheap. Really well equipped, much like a mini apartment. 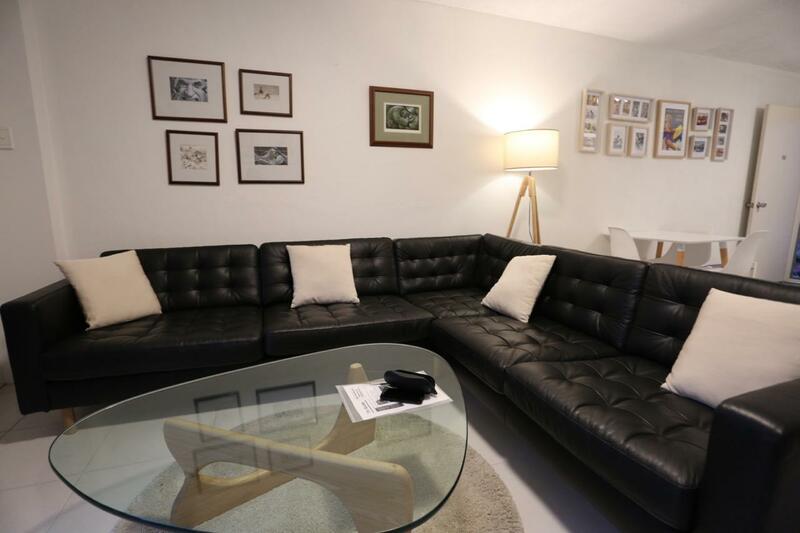 One bedroom with a queen sized bed, a living room with a sofa set and tv. kitchen area with fridge, microwave oven, normal oven, laundry cabinet with both washer and dryer. fully equipped with pots and pans and utensils. and really spacious. I did not realiease it at first. But I chose the same hotel as I did more than 10 years ago. It is clean and efficent hotel/apartment. Right at Surfer's paradise. Fuss and hassle free stay, with all the necessary that one would need for a stay. The rooms were painted recently and all in white. Meaning that they are sure of cleanliness. No funny smell, no strange markings all well kept. I would definitely be their loyal repeat customer! I stayed there during the Commonwealth Games and stayed in a 2 bedroom apartment. I had only booked a one bedroom and was very pleased to find I had been upgraded when I arrived. The apartment was clean and large. It had everything I needed in terms of cooking and only a short walk to the beach and main streets (for restaurants and shopping). Very close to the tram and it was quiet at night. Would stay there again. Close to beach, bus, tram, shops, and restaurants. Was clean and tidy, enough resources to use in the room. Pool was unavailable during our stay, was getting fixed, manager was lovely and welcoming. Enjoyed my short stay. Location is just nice and near the Surfers Paradise. 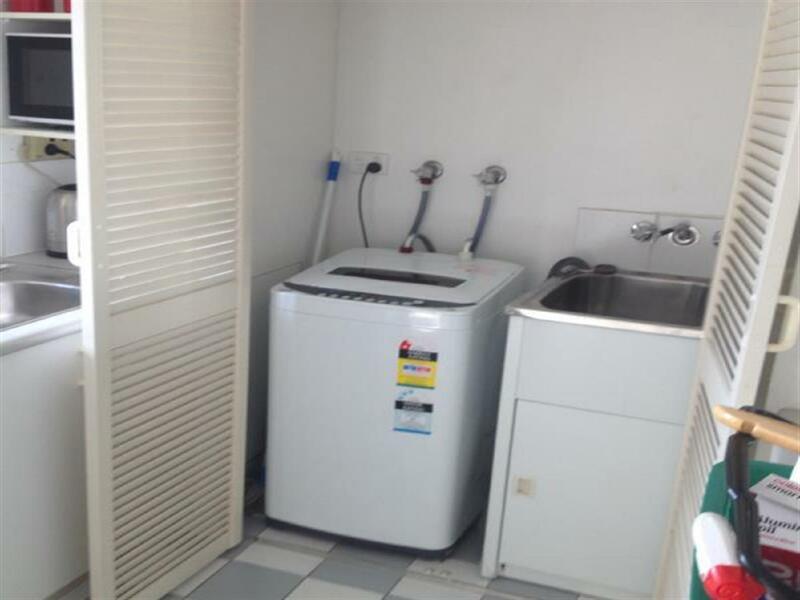 Overall not bad but the water heater for bathroom hard to control the temperature. The working staff only on duty 9am to 5pm. They allowed me to keep the luggage due to night flight on 10pm after check out but need to pickup before 5pm. It's still quite early for me as in after pickup my luggage I can only end my trip and go to take the trams/bus to airport. Bed was average, Blinds do not block much at all. Very bright in early morning. Shower head needs to be replaced. Other than that very cheap for New Years Eve. . Kitchen has everything you need. Great location. Not too noisy. Would probably stay there again. Stayed for 2 nights over New Years. Location is really superb, as it's only about 5mins walk away from the heart of Surfers Paradise, and there is a Coles along the way if you need. From the outside the places looks quite old, but once we were inside our unit it was very clean, cosy and very accommodating with all the small details included as well (involving umbrella, beach bags, extra towels, coffee, cooking oil, foxtel and lots of nice decor that made the place feel more like a home rather than a hotel). Very good price for value, considering we booked quite close to the Christmas period and New Years Eve. Obviously don't compare to your Rydges or Hilton, but for a small unit, I highly recommend. Thankyou! Only one downfall was finding staff or reception to checkout to get bond back, and asked to leave luggage for a few hours but couldn’t find anyone, and despite numerous calls to which went unanswered I’d suggest this area needs some work! Other than that a great stay and location . Room was well equipped too. The property was very clean and well situated in the Gold Coast. It was very close to shops, clubs and the beach. The caretaker was very lovely and helpful and gave us information about how to get to places. Lovely balcony area overlooking the pool. Definitely would stay again. Great location , all though it was quite dated , the rooms where clean and had everything you needed in working conditions, right next to a huge car park which is free parking from 7pm till 6am which was handy right in Surfers for our friends & family who came to visit. Easy access to trams / buses - range of eateries / supermarkets and centre of Surfers with in minutes of walking, all in all if your looking for a reasonable hotel with a reasonable price then definitely recommend this hotel , friendly staff only downfall would be nill access to elevators, so if your on the top floor and have a lot of luggage then you'all have a bit of a challenge on your hands.